Winner can pick 1 book from this list of my favorite reads! Books are in order from most recent read to first read of 2018! A nobleman’s daughter with magic in her blood. An empire built on the dreams of enslaved gods. Empire of Sand is Tasha Suri’s captivating, Mughal India-inspired debut fantasy. In a palace of illusions, nothing is what it seems. Each generation, a competition is held to find the next empress of Honoku. The rules are simple. Survive the palace’s enchanted seasonal rooms. Conquer Winter, Spring, Summer, and Fall. Marry the prince. All are eligible to compete—all except yōkai, supernatural monsters and spirits whom the human emperor is determined to enslave and destroy. Mari has spent a lifetime training to become empress. Winning should be easy. And it would be, if she weren’t hiding a dangerous secret. Mari is a yōkai with the ability to transform into a terrifying monster. If discovered, her life will be forfeit. 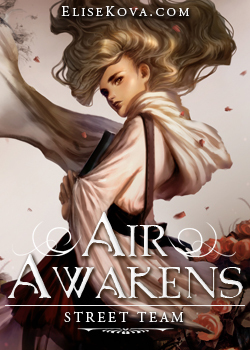 As she struggles to keep her true identity hidden, Mari’s fate collides with that of Taro, the prince who has no desire to inherit the imperial throne, and Akira, a half-human, half-yōkai outcast. Torn between duty and love, loyalty and betrayal, vengeance and forgiveness, the choices of Mari, Taro, and Akira will decide the fate of Honoku in this beautifully written, edge-of-your-seat YA fantasy. All her life, Teodora has hidden the fact that she secretly turns her family’s enemies into music boxes, mirrors, and other decorative objects. After all, everyone in Vinalia knows that stregas–wielders of magic–are figures out of fairytales. Nobody believes they’re real. Then the Capo, the land’s new ruler, sends poisoned letters to the heads of the Five Families that have long controlled Vinalia. Four lie dead and Teo’s beloved father is gravely ill. To save him, Teo must travel to the capital as a DiSangro son–not merely disguised as a boy, but transformed into one. Enter Cielo, a strega who can switch back and forth between male and female as effortlessly as turning a page in a book. Teo and Cielo journey together to the capital, and Teo struggles to master her powers and to keep her growing feelings for Cielo locked in her heart. As she falls in love with witty, irascible Cielo, Teo realizes how much of life she’s missed by hiding her true nature. But she can’t forget her mission, and the closer they get to the palace, the more sinister secrets they uncover about what’s really going on in their beloved country–and the more determined Teo becomes to save her family at any cost. From National Book Award and National Book Critics Circle Award finalist Ada Limón comes The Carrying–her most powerful collection yet. In Bright Dead Things, Limón showed us a heart “giant with power, heavy with blood”–“the huge beating genius machine / that thinks, no, it knows, / it’s going to come in first.” In her follow-up collection, that heart is on full display–even as The Carrying continues further and deeper into the bloodstream, following the hard-won truth of what it means to live in an imperfect world. Emika Chen barely made it out of the Warcross Championships alive. Now that she knows the truth behind Hideo’s new NeuroLink algorithm, she can no longer trust the one person she’s always looked up to, who she once thought was on her side. Determined to put a stop to Hideo’s grim plans, Emika and the Phoenix Riders band together, only to find a new threat lurking on the neon-lit streets of Tokyo. Someone’s put a bounty on Emika’s head, and her sole chance for survival lies with Zero and the Blackcoats, his ruthless crew. But Emika soon learns that Zero isn’t all that he seems–and his protection comes at a price. Caught in a web of betrayal, with the future of free will at risk, just how far will Emika go to take down the man she loves? Ever since her mom died three years ago, Analee Echevarria has had trouble saying out loud the weird thoughts that sit in her head. With a best friend who hates her and a dad who’s marrying a yogi she can’t stand, Analee spends most of her time avoiding reality and role-playing as Kiri, the night elf hunter at the center of her favorite online game. Through Kiri, Analee is able to express everything real-life Analee cannot: her bravery, her strength, her inner warrior. The one thing both Kiri and Analee can’t do, though, is work up the nerve to confess her romantic feelings for Kiri’s partner-in-crime, Xolkar—aka a teen boy named Harris whom Analee has never actually met in person. So when high school heartthrob Seb Matias asks Analee to pose as his girlfriend in an attempt to make his ex jealous, Analee agrees. Sure, Seb seems kind of obnoxious, but Analee could use some practice connecting with people in real life. In fact, it’d maybe even help her with Harris. But the more Seb tries to coax Analee out of her comfort zone, the more she starts to wonder if her anxious, invisible self is even ready for the real world. Can Analee figure it all out without losing herself in the process? Sohrab makes sure people speak English so Darius can understand what’s going on. He gets Darius an Iranian National Football Team jersey that makes him feel like a True Persian for the first time. And he understands that sometimes, best friends don’t have to talk. Darius has never had a true friend before, but now he’s spending his days with Sohrab playing soccer, eating rosewater ice cream, and sitting together for hours in their special place, a rooftop overlooking the Yazdi skyline. How much do you really know about the town of Melancholy Falls, NJ? Its citizens, its history…it’s all probably a mystery to you. Peel back the curtain and crack open an interdimensional portal into this book to learn more about the things that inhabit this strange place. Based on the serialized audio drama RETURN HOME, Interludes from Melancholy Falls: Volume 1 contains 16 tales that will make you laugh, make you cry, make you scared, and make you hungry for more. Whether you’re a long-time fan of the show or a new visitor in town, there is something in here for everyone. But be careful…you may not want to leave. Isn’t it time for you to return home? Star-crossed lovers, meddling immortals, feigned identities, battles of wits, and dire warnings: these are the stuff of fairy tale, myth, and folklore that have drawn us in for centuries. From fantasy to science fiction to contemporary, from romance to tales of revenge, these stories will beguile readers from start to finish. For fans of Neil Gaiman’s Unnatural Creatures and Ameriie’s New York Times–bestselling Because You Love to Hate Me. Can you fall in love with someone you’ve never met, never even spoken to – someone who is light years away? Romy Silvers is the only surviving crew-member of a spaceship travelling to a new planet, on a mission to establish a second home for humanity amongst the stars. Alone in space, she is the loneliest girl in the universe until she hears about a new ship which has launched from Earth – with a single passenger on board. A boy called J. Their only communication with each other is via email – and due to the distance between them, their messages take months to transmit across space. And yet Romy finds herself falling in love. But what does Romy really know about J? And what do the mysterious messages which have started arriving from Earth really mean? Sometimes, there’s something worse than being alone . . .
Fan-favorite webcomic creator Megan Rose Gedris (Yu+Me Dream) crafts a compelling tale of magic, deception, and wonder in this stunningly illustrated graphic novel about the bond between sisters. Dominique is a high school junior from a gritty neighborhood in Trenton, where she and her mom are barely getting by. Ben is a musical prodigy from the Upper East Side, a violinist at a top conservatory with obsessive talent and a brilliant future. When Dom’s class is taken to hear a concert at Carnegie Hall, she expects to be bored out of her mind. But then she sees the boy in the front row playing violin like his life depends on it — and she is transfixed. Posing as an NYU student, Dom sneaks back to New York City to track down Ben Tristan, a magnetic genius who whisks her into a fantasy world of jazz clubs and opera, infatuation and possibility. Each sees something in the other that promises to complete them. As Dom’s web of lies grows, though, so does Ben’s obsessive need to conquer Beethoven’s famous Kreutzer Sonata. But Ben’s genius, which captivates Dominique, conceals a secret, and the challenges of her life may make it difficult to help him. Alternating perspectives and an unreliable narrator create suspense and momentum, romance and heartbreak. Author Lindsay Champion’s deep roots in theater and music are evident on every page — structured like a sonata with hints of West Side Story, her debut novel hits all the right notes. The highly anticipated third book in Sabaa Tahir’s New York Times bestselling EMBER QUARTET. Lulu Saad doesn’t need your advice, thank you very much. She’s got her three best friends and nothing can stop her from conquering the known world. Sure, for half a minute she thought she’d nearly drowned a cute guy at a party, but he was totally faking it. And fine, yes, she caused a scene during Ramadan. It’s all under control. Ish. Except maybe this time she’s done a little more damage than she realizes. And if Lulu can’t find her way out of this mess soon, she’ll have to do more than repair friendships, family alliances, and wet clothing. She’ll have to go looking for herself. Bloomington High School Lions’ star goalie, Sebastian Hughes, should be excited about his senior year: His teammates are amazing and he’s got a coach who doesn’t ask anyone to hide their sexuality. But when his estranged childhood best friend Emir Shah shows up to summer training camp, Sebastian realizes the team’s success may end up in the hands of the one guy who hates him. Determined to reconnect with Emir for the sake of the Lions, he sets out to regain Emir’s trust. But to Sebastian’s surprise, sweaty days on the pitch, wandering the town’s streets, and bonding on the weekends sparks more than just friendship between them. Sixteen-year-olds Leena and Mishie are best friends. They delight in small rebellions against the Saudi cultural police—secret Western clothing, forbidden music, flirtations. But Leena wants college, independence—she wants a different life. Though her story is specific to her world (a world where it’s illegal for women to drive, where a ten-year-old boy is the natural choice as guardian of a fatherless woman), ultimately it’s a story about friendship, family, and freedom that transcends cultural differences. Maddie thought she and Logan would be friends forever. But when your dad is a Secret Service agent and your best friend is the president’s son, sometimes life has other plans. Before she knows it, Maddie’s dad is dragging her to a cabin in the middle of the Alaskan wilderness. Maddie tells herself it’s okay. After all, she’s the most popular girl for twenty miles in any direction. (She’s also the only girl for twenty miles in any direction.) She has wood to cut and weapons to bedazzle. Her life is full. Clara Shin lives for pranks and disruption. When she takes one joke too far, her dad sentences her to a summer working on his food truck, the KoBra, alongside her uptight classmate Rose Carver. Not the carefree summer Clara had imagined. But maybe Rose isn’t so bad. Maybe the boy named Hamlet (yes, Hamlet) crushing on her is pretty cute. Maybe Clara actually feels invested in her dad’s business. What if taking this summer seriously means that Clara has to leave her old self behind? With Maurene Goo’s signature warmth and humor, The Way You Make Me Feel is a relatable story of falling in love and finding yourself in the places you’d never thought to look. Twelve-year-old Aru Shah has a tendency to stretch the truth in order to fit in at school. While her classmates are jetting off to family vacations in exotic locales, she’ll be spending her autumn break at home, in the Museum of Ancient Indian Art and Culture, waiting for her mom to return from her latest archeological trip. Is it any wonder that Aru makes up stories about being royalty, traveling to Paris, and having a chauffeur? From the beloved author and artist behind Bad Girls Throughout History comes this lushly illustrated book of goddesses from around the world. Aphrodite, the Greek goddess whose love overcame mortality. Mazu, the Chinese deity who safely guides travelers home. Lakshmi, the Hindu provider of fortune and prosperity. These powerful deities and many more are celebrated in gorgeous artwork and enlightening essays that explore the feminine divine and encourage readers to empower themselves. Ann Shen’s signature watercolors make Legendary Ladies a unique, gift-worthy homage to the mighty women within. Alosa’s mission is finally complete. Not only has she recovered all three pieces of the map to a legendary hidden treasure, but the pirates who originally took her captive are now prisoners on her ship. Still unfairly attractive and unexpectedly loyal, first mate Riden is a constant distraction, but now he’s under her orders. And she takes great comfort in knowing that the villainous Vordan will soon be facing her father’s justice. Kiko Himura has always had a hard time saying exactly what she’s thinking. With a mother who makes her feel unremarkable and a half-Japanese heritage she doesn’t quite understand, Kiko prefers to keep her head down, certain that once she makes it into her dream art school, Prism, her real life will begin. But then Kiko doesn’t get into Prism, at the same time her abusive uncle moves back in with her family. So when she receives an invitation from her childhood friend to leave her small town and tour art schools on the west coast, Kiko jumps at the opportunity in spite of the anxieties and fears that attempt to hold her back. And now that she is finally free to be her own person outside the constricting walls of her home life, Kiko learns life-changing truths about herself, her past, and how to be brave. In the final battle for the throne, Amani must fight for everything she believes in, but with the rebellion in pieces, and the Sultan’s armies advancing across the desert plains, who will lead, who will triumph, who will live and who will die? A searing #OwnVoices coming-of-age debut in which an Indian-American Muslim teen confronts Islamophobia and a reality she can neither explain nor escape—perfect for fans of Angie Thomas, Jacqueline Woodson, and Adam Silvera. Beneath the Sugar Sky, the third book in McGuire’s Wayward Children series, returns to Eleanor West’s Home for Wayward Children in a standalone contemporary fantasy for fans of all ages. At this magical boarding school, children who have experienced fantasy adventures are reintroduced to the “real” world. It starts with a fire. A diary. A murder. y is not a normal teenage girl. For one thing, she doesn’t believe that her mother killed herself three years ago. And since her father is about to be executed for his crimes, Molly is convinced that her mother will return to her soon. Finally, the hole in her heart will stop hurting. Pepper Al-Yusef is not your average teenage boy. A Kuwaiti immigrant with serious girl problems and the most embarrassing seizure dog in existence, he has to write a series of essays over the summer…or fail out of school. And Ava Dreyman—the brave and beautiful East German resistance fighter whose murder at seventeen led to the destruction of the Berlin Wall—is unlike anyone you’ve met before. When Molly and Pepper are tasked with finding Ava’s murderer, they realize there’s more to her life—and death—than meets the eye. Someone is lying to them. And someone out there is guiding them along, desperate for answers.